ABUJA—Justice Sylvanus Oriji of an Abuja High Court sitting at Apo, yesterday, maintained that the Inspector General of Police, IGP, Mr. Ibrahim Idris, must appear before him March 13 to explain why he should not be committed to prison for flouting court orders that barred Police from interfering with activities of Peace Corps of Nigeria, PCN. Justice Oriji dismissed as lacking in merit a preliminary objection the IGP filed to challenge his personal appearance before the court. The IGP had, through his lawyer, Mr. David Igbodo, contended that he was not personally served with the Form-48 (contempt of court charge) that Peace Corps entered against him. He prayed the court to void the contempt proceeding and set it aside on the premise that the summons contained in the Form-48 was served on the Commissioner of Police in charge of legal matters at the Force Headquarters. However, in his ruling, Justice Oriji slammed the IGP for employing technicality he said was only aimed at frustrating the proceeding before the court. Consequently, aside ordering the IGP to appear to show cause why he should not be jailed for breaching a lawful order of the court made since March 26, 2014, the judge equally imposed N25,000 fine on the IGP. 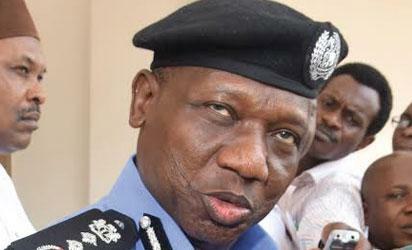 The post Contempt charge: IGP must appear in court March 13, judge insists appeared first on Vanguard News.